Holy toledo! 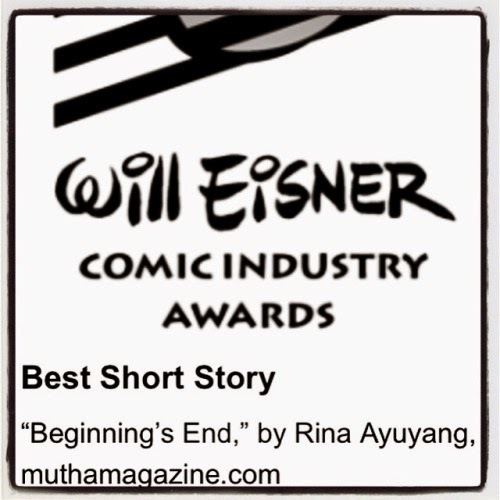 My comic "Beginning's End" got nominated for a mutha-effing Eisner Award for Best Short Story. To say that I am beyond shocked is an understatement. I am very, very honored and glad that I've received such positive feedback on my story which is one very near and dear to my heart.